With the increasing internet usage supported by mobile revolution, the demand for open-source information is growing at a high pace as evident in the skyrocketing trend of public reaching out to online platforms for every information. Resultant is the evolution of concepts like Big Data, among others that primarily pitch for data usage and management as the key to modern world and in fact, the next big trend. 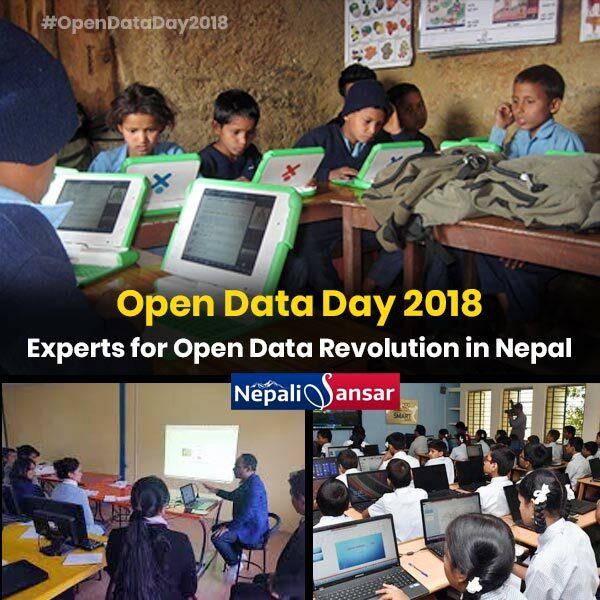 Following the line of other countries, Nepal is also bracing up to catch up this growing trend and that was evident on the World Open Data Day on March 03, 2018. 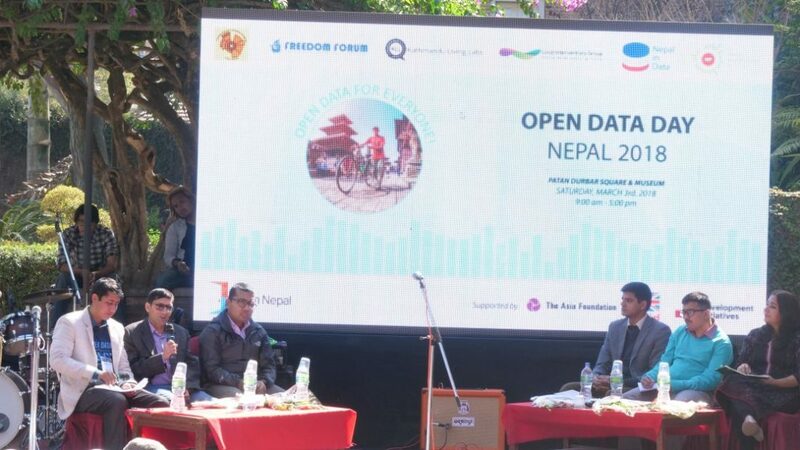 Open Data Day 2018 seemed so special for Nepal and was celebrated on a grand scale at the country’s Durbar Square, amidst the presence of many data experts, enthusiasts and all the related stakeholders from across the world. 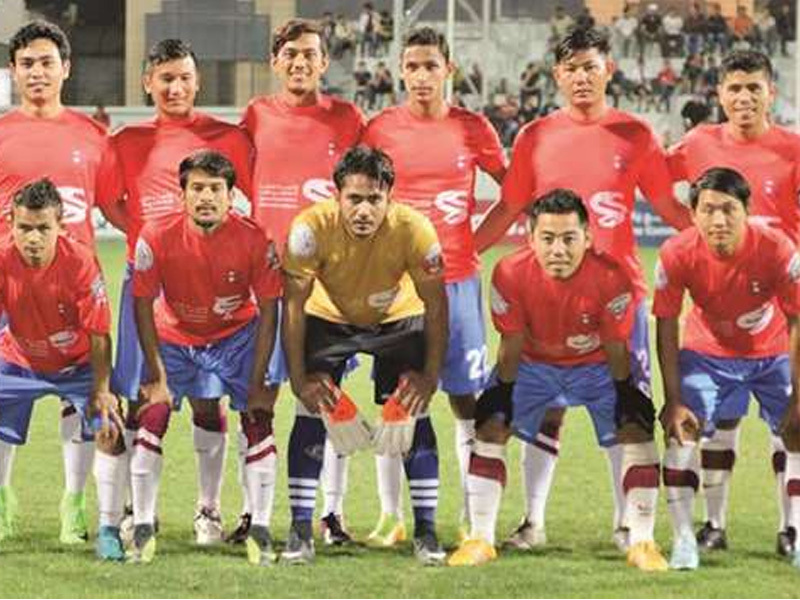 This unique public event in Kathmandu saw the participation of a large number of Nepali students and representatives from the country’s Open Data community. The program saw a wide range of discussions on topics related to Open Data such as the role of data-driven solutions in driving innovation, supporting policy decision-making and implementation measures, among others. While different members of Nepal’s Open Data Community and Data for Development Program (DFDP) jointly organized this event, The Asia Foundation and Development Initiatives implemented it with the funding by the UK Department for International Development (DFID). DFID supports local partners in terms of guidance, funding and expertise that are required to drive progress in terms of sharing and data usage. Marking the occasion, DFDP hosted a series of programs including a Data Poster Competition by local social innovation hub called Bikas Udhyami to promote different forms of data representations such as data visualization and infographics, among others. DFDP also organized another event called Data-a-thon. 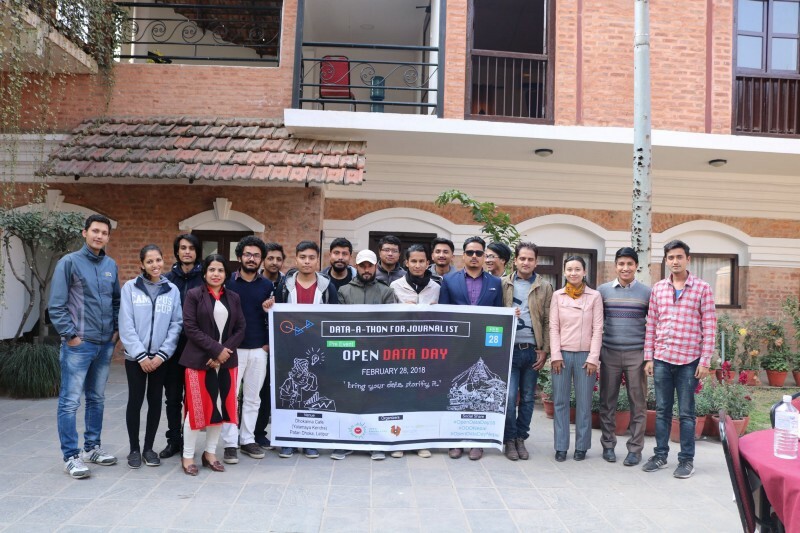 The event organized by Open Knowledge Nepal and the Centre for Data Journalism brought together local journalists and technology students for a workshop on data-driven story telling. Besides, a two-day exhibition was also held at Patan Durbar Square featuring infographics on a wide range of data visualizations by various organizations that explained the salient features and significance of open data. Infographic presentation on know-how of Open Data by Open Knowledge Nepal, special graphical representations on news happenings by Center for Data Journalism, collaborative digital approach to ensure disaster resilience by Kathmandu Living Labs, presentations on the country’s socio-economic development and federalism by Nepal in Data were among key events organized. 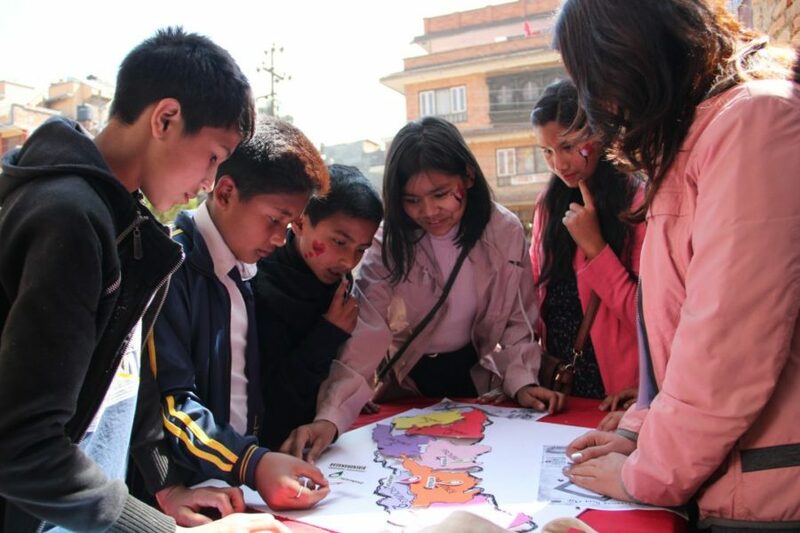 Map-a-Thon, another program by Kathmandu Living Labs, introduced the Open Street Maps (OSM) to the public and also conducted training sessions on how can one contribute to the development and implementation of high-quality mapping services across the country beginning with the Kathmandu Valley. A panel discussion was also held on the occasion, wherein, officials from the Central Bureau of Statistics, National Reconstruction Authority, Finance Comptroller General Office, Teach for Nepal and Gender & Adolescence: Global Evidence Program discussed importance and implementation of data in preparing the annual National Budget. As an outcome, panelists showcased recommendations by the civil societies and government agencies in implementing data applications in budget-making process. Highlighting the implementation of citizen-generated data on solid waste management, Clean UP Nepal presented its Nepal Waste Map website and app that is focused on improving solid waste management services in Kathmandu. 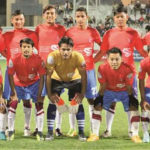 Overall, the events drew an amazing response wherein the attendees reportedly said they had a unique and first-of-its-kind experience in Nepal. “After coming here, and looking at all these pictures, I have ideas on things that have happened in Nepal, how data is produced and where data comes from in Nepal,” said one of the participants. Having witnessed rounds of socio-political transformations over the period, Nepal is on path to stand in line with the trend and positive moves towards Open Data is one significant step in that process. Despite the positive response to the Open Data trend, Nepal still ranks 83rd out of 114 countries on the Global Open Data Barometer, in the bottom 25 percent in terms of open data readiness, implementation and impact of related initiatives. 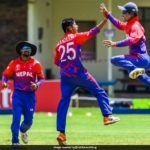 Nepal currently has the presence of some active online portals such as Nepal in Data, Open Nepal and various NGO portals offering effective open data services on indicators such as population change, expenditure, agriculture, and disaster recovery at times of earthquakes, among other calamities. On the flip side, there are also issues pertaining to the accessibility of datasets available on public domain because of their technical limitations. To address this, the country’s open data communities, students and all the concerned stakeholders are taking necessary measures towards promoting openness and easy accessibility of vital data and government reports on public domain, and Open Data Day appeared as a productive platform. Former Vice Chair of National Planning Commission (NPC), Nepal Dr. Swarnim Wagle, who attended the event as its chair, highlighted the Government of Nepal’s efforts towards enhancing data availability. “Re-orientation of our society should be towards an open society based on facts,” adds Wagle. The Head of DFID-Nepal Dr. Rurik Marsden also said, “Data is the currency of good decision-making,” while pitching for implementation of data and his organizational support to Open Data in Nepal.